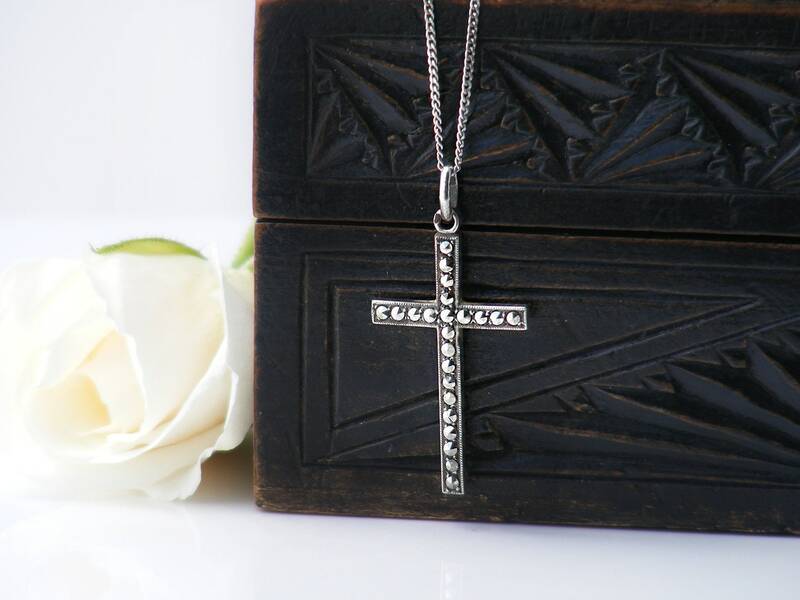 A light, fine vintage French Cross in sterling silver set with marcasite stones. Minimal and elegant but very strong, the stones glimmer beautifully with change of light. 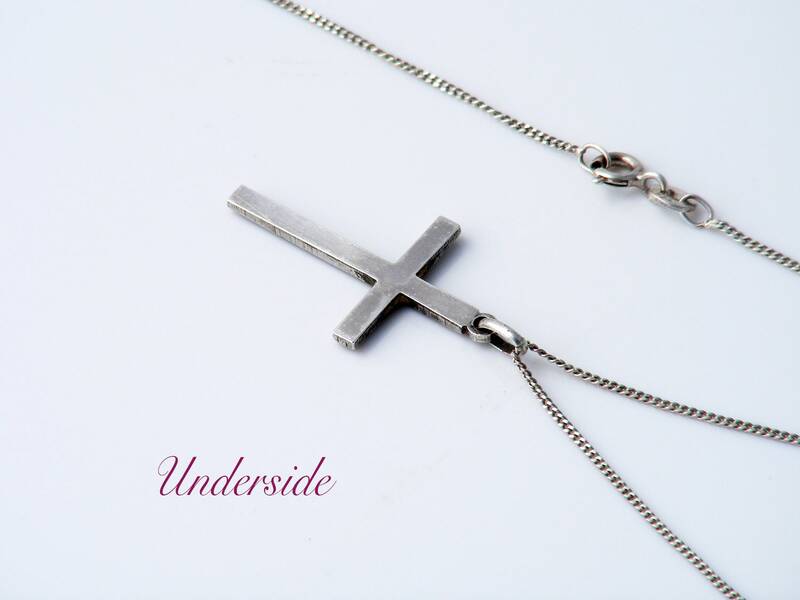 Sterling silver - the loop at the top of the cross has two hallmarks punched in the French style, one of which looks to be the Boars Head of France (too tiny to be 100% sure). 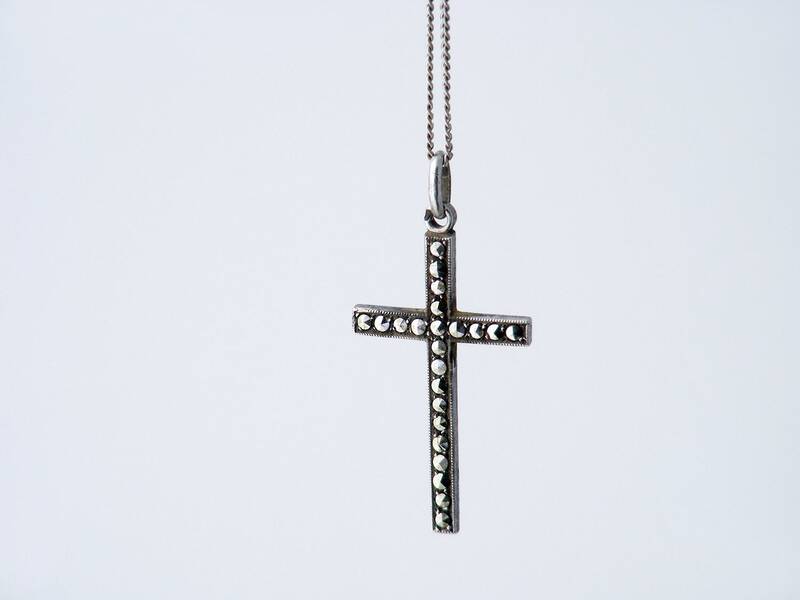 Sizes: the cross measures .67 x 1.1 inches or 17 x 28mm. Condition: Very good. Very strong, no issues at all. Lovely patina to the silver. 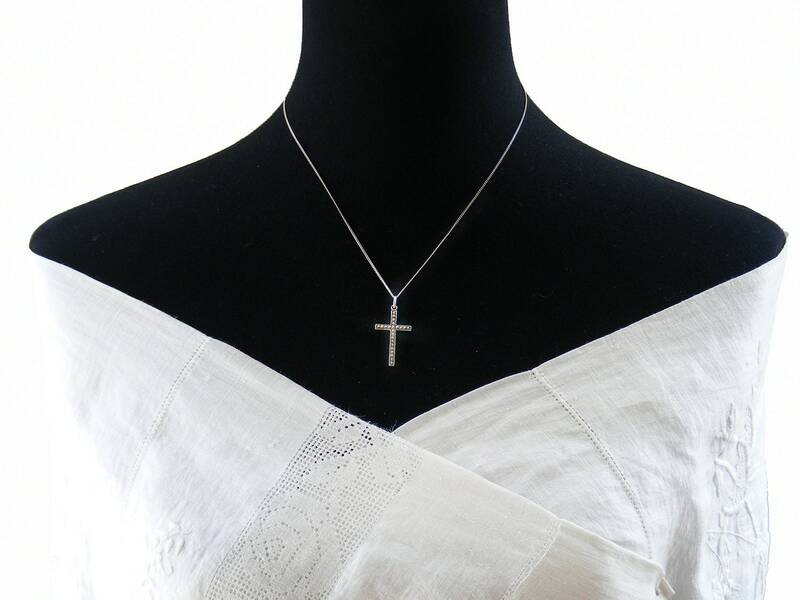 The fine chain is a later vintage and the weight and style suit the cross perfectly. Sterling, stamped 925 to the clasp, 18 inches or 45.8cm long Shown on a life size torso in photograph #3. 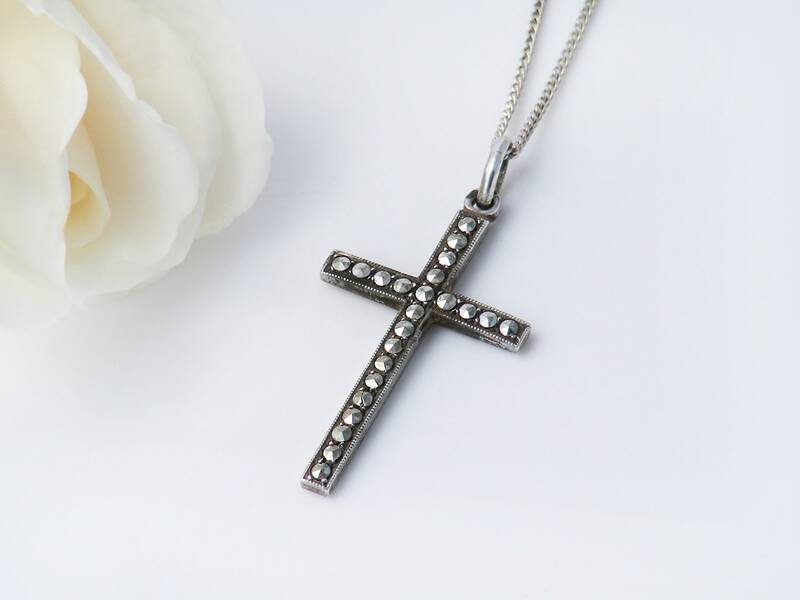 Such a pretty cross, understated and lovely with just a tasteful touch of sparkle.